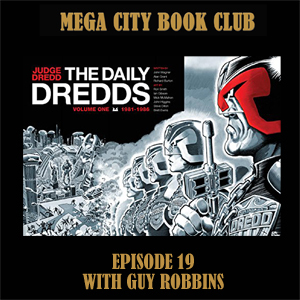 Guy Robbins is my guest to discuss a truly beautiful collection of Judge Dredd strips from the Daily Star. 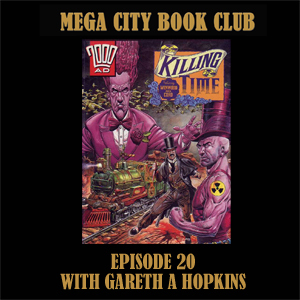 No spoilers but this is a must buy volume which you can get from the 2000AD online store. 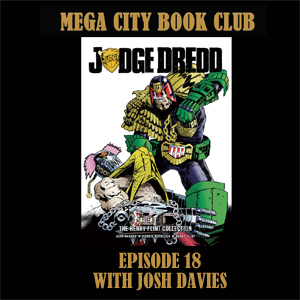 Josh Davies brings the Henry Flint Collection into a techno-organic version of the book club to discuss seven magnificent examples of Henry's early work on Dredd. You can find Josh's blog at https://spongejoshing.blogspot.co.uk/ and purchase your copy of the Henry Flint collection from the 2000AD store. 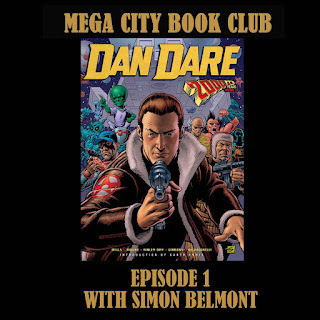 We're back in the London pub version of the book club with Sheridan and Rachael as my guests to discuss Alan Moore and Ian Gibson's masterpiece from the 1980s. 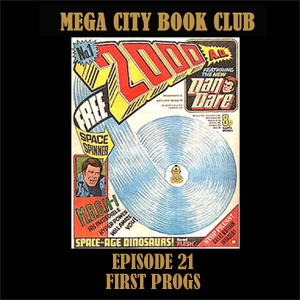 Check out Sheridan's Prog Slog blog here, and you can find pictures of Judge Thread on the 2000AD Southern contingent facebook page. 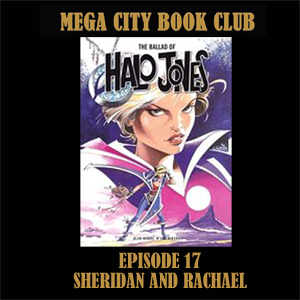 And get your copy of the Ballad of Halo Jones from the 2000AD online store. 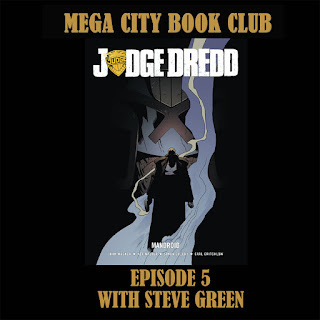 Judge Anon from Buenos Aires joins me over an occasionally crackly Skype line to discuss a legendary Dredd epic. 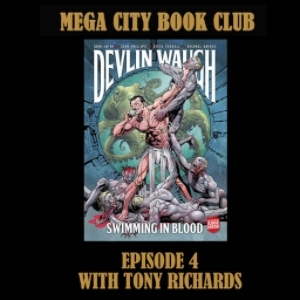 We keep the spoilers to the minimum while we wax lyrical over the artistic talents of Bolland, McMahon and Smith, as well as Wagner and Grant's great story telling. 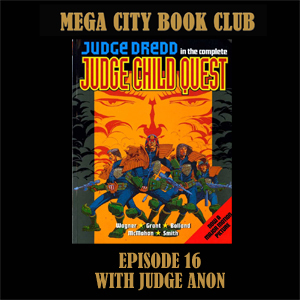 The Judge Child Quest is available in Case Files volume 4 from the 2000AD online store. You can find Anon's history of female Judges on his Tumblr site, and there are details of the simply splendid Zarjaz fanzine on the Quaequam blog. 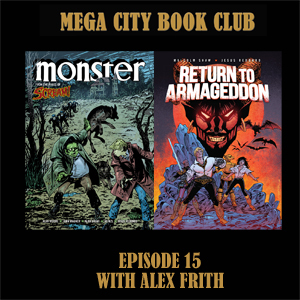 Alex Frith from the Heroes of 2000AD blog steps into the London pub book club and brings along two books with splendid Redondo artwork: Monster from the Scream! 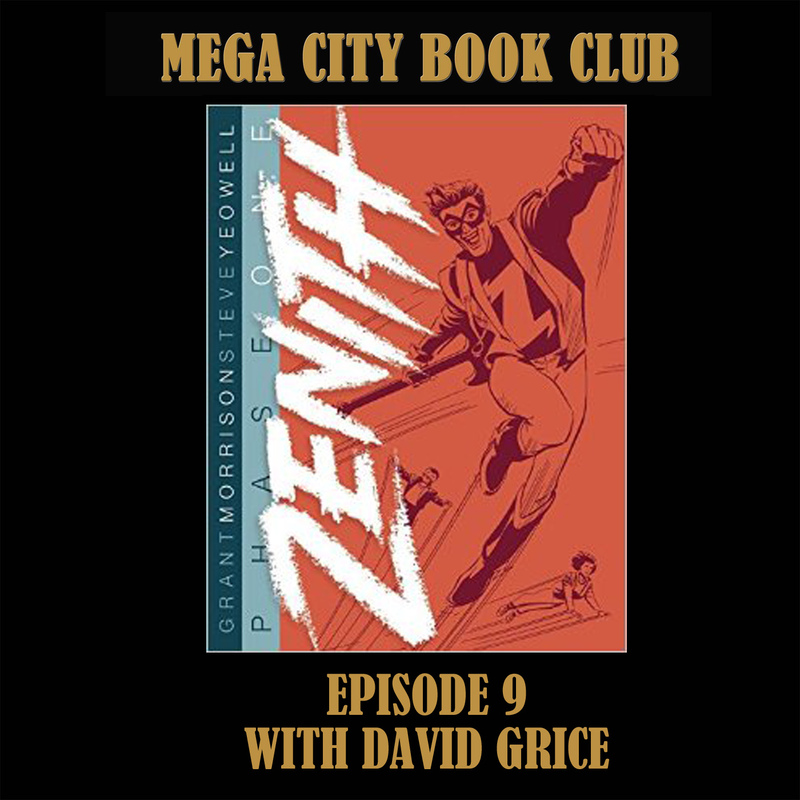 comic and the mind boggling Return to Armageddon. 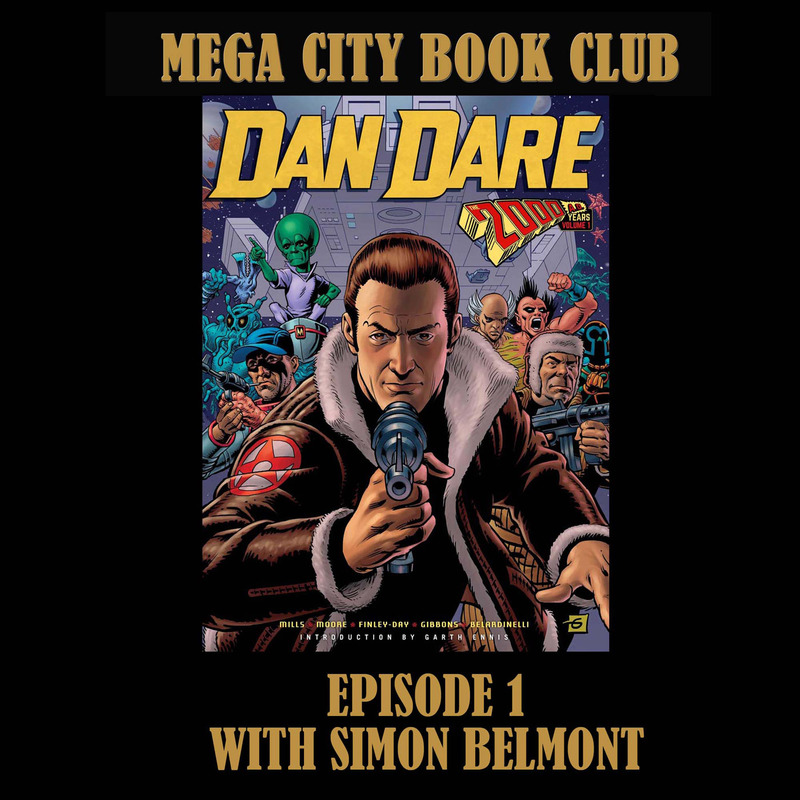 There are some minor spoilers and some fascinating facts about some of the great European artists who have worked on British comics. 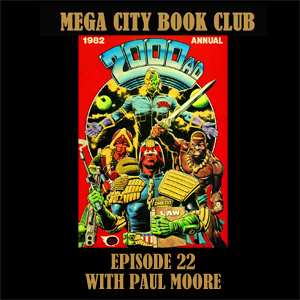 Monster is available from the 2000AD online store, as is Return to Armageddon. 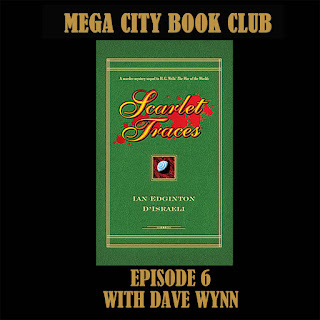 Brett Summers from the Cult Faction website is my guest as we both attempt to grow suitably long enough beards to tackle the collected Future Shocks and Time Twisters from the great man of Northampton himself. 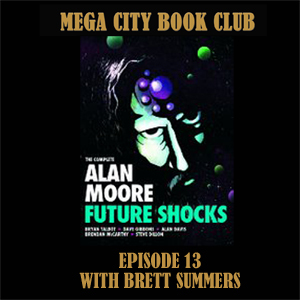 You can find Brett's website at CultFaction.com and buy your copy of Mr Moore's Future Shocks from the 2000AD online store. It's another pubcast as Julius Howe from the Inky Fingers podcast is my guest to go in depth on the artwork of the ABC Warriors' return to the prog in 1988. 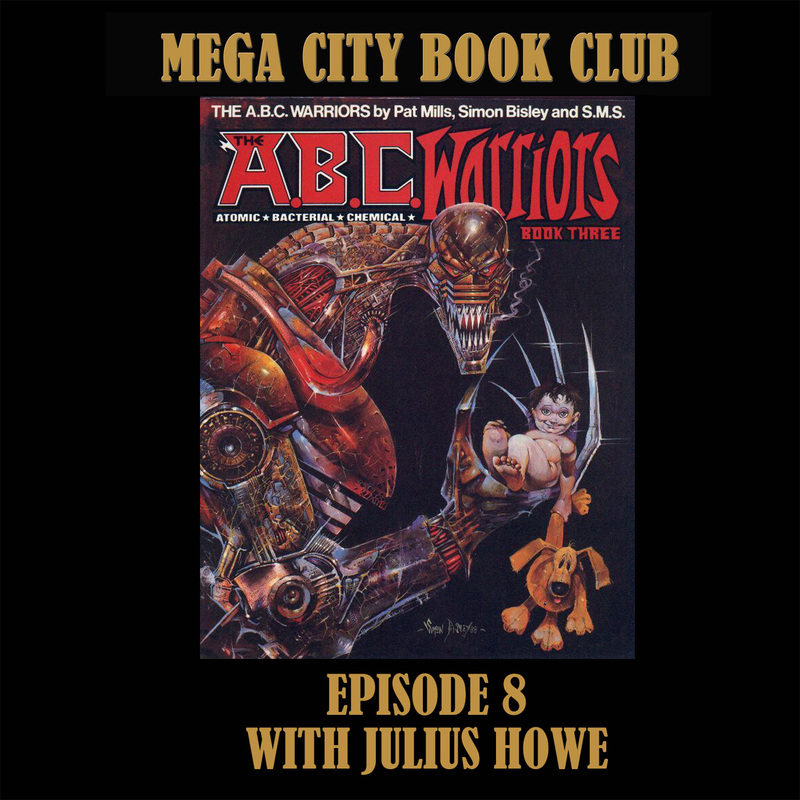 Recorded in a noisy London pub we focus on the stunning debut of Simon Bisley, and why SMS is the often overlooked half of a dramatic double act, plus Julius gives us his views on the various reproductions of the original art. 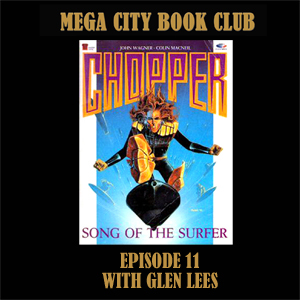 This story appears in the Mek Files volume 1, available from the 2000AD online store, as well as digitally for Apple, Android, and Windows 10 devices. It's the return of the "Mackem" as Pete Wells brings along another masterpiece by John Wagner and Arthur Ranson. It's grim and it's gritty, but as ever there are pastry jokes and spoilers aplenty. 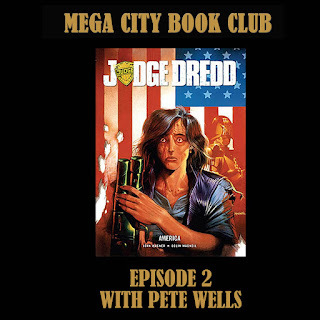 Now that Pete has been elevated to sub-droid level by the Mighty One you can find his covers uncovered postings in the news feed on the 2000AD site. 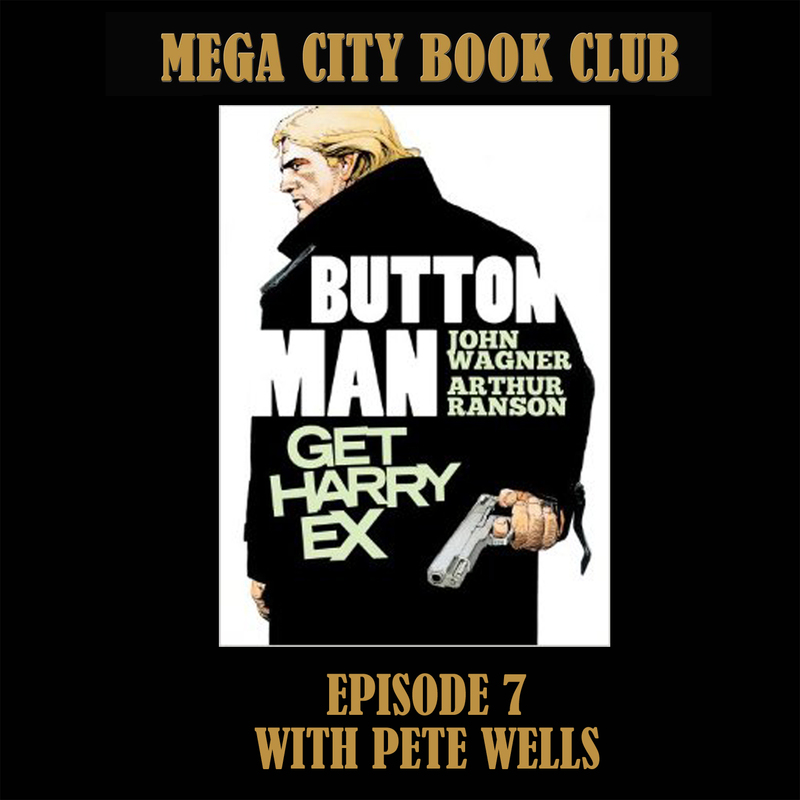 Buy the individual volumes of Button Man from the 2000AD store or digitally for the apps for Apple, Android, and Windows 10 devices. 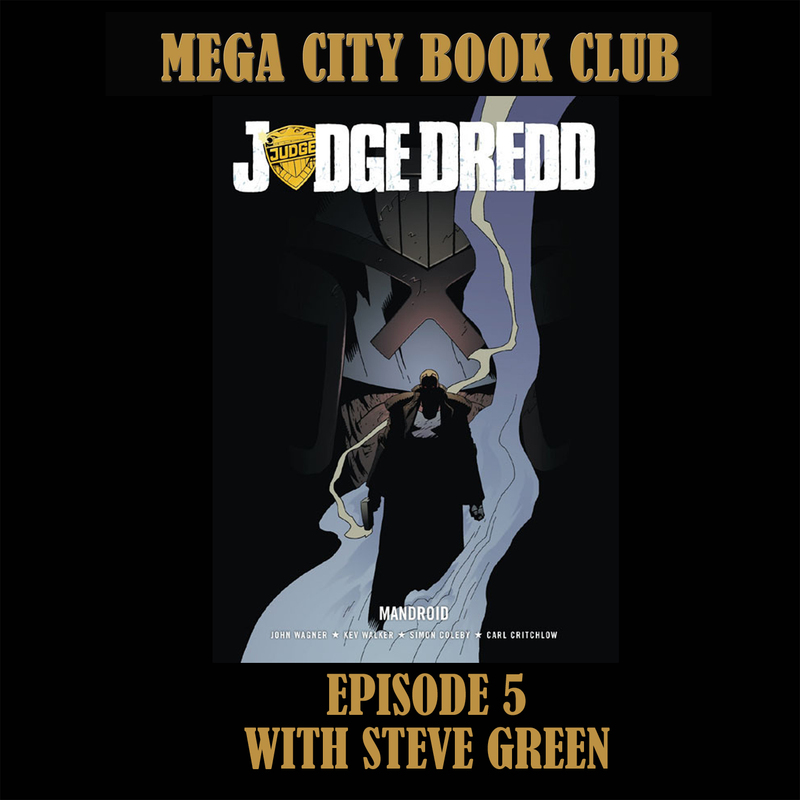 Steve Green, the cinematographer and effects wizard on the great Judge Minty fanfilm, and the upcoming Strontium Dog film, joins me to discuss a great Dredd stand alone story. Be warned there are both spoilers and sirens to come! 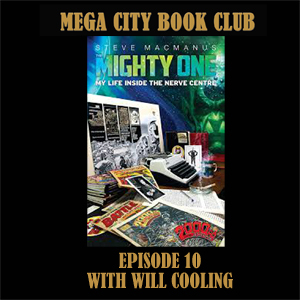 Mandroid is available digitally from the 2000AD store, or in hard copy from the Hachette partworks site. Jim Moon from the fabulous Hypnobobs podcast is my guest to discuss the first true mega epic of Judge Dredd's history. 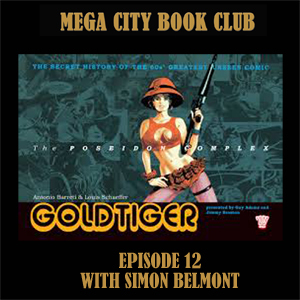 Mutants, killer rats, dinosaurs, zombie robots, and spoilers abound. 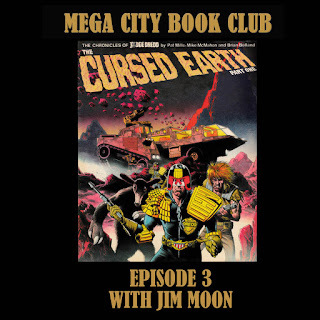 The Cursed Earth (Uncensored) is available from the 2000AD online store. 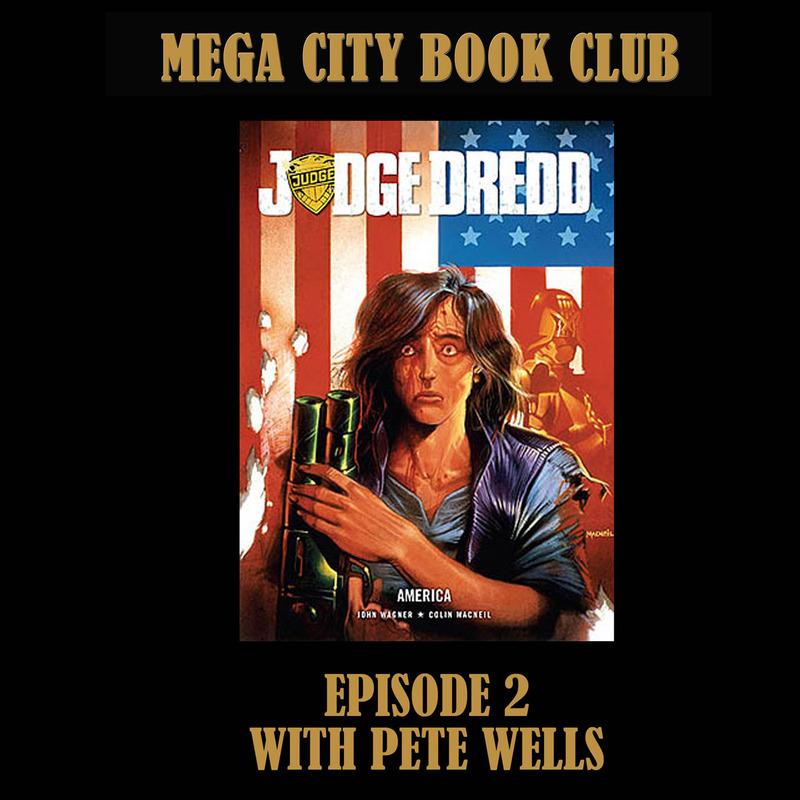 I'm joined by the irrepressible Pete Wells from the 2000AD Covers Uncovered blog to discuss one of the definitive Dredd tales: America. 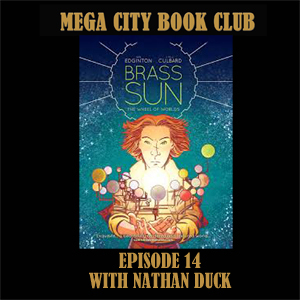 We talk about the original story and the two sequels, Fading of the Light, and Cadet. 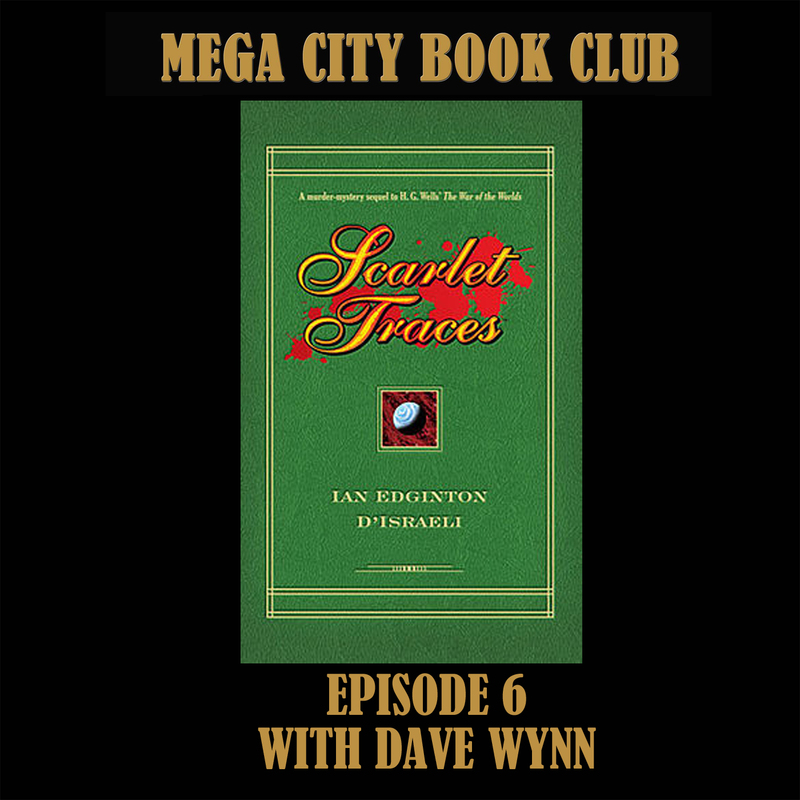 Please note there are spoilers for all three and you should really read these great stories before listening. The Complete America can be purchased from the 2000AD online store.